Cookie party favors are one of the biggest trends for weddings and various kinds of parties and showers alike, and with good reason. They’re a delicious gift that can be customized to meet the needs of almost any situation. They’re inexpensive, and if you’re a good cookie decorator, they’re super-easy from a DIY point-of-view. The key, though, is to come up with the best possible packaging scheme to make them every cuter. Here are a few ideas that might help. Mason Jars: Is there anything you can’t use a Mason jar for these days? 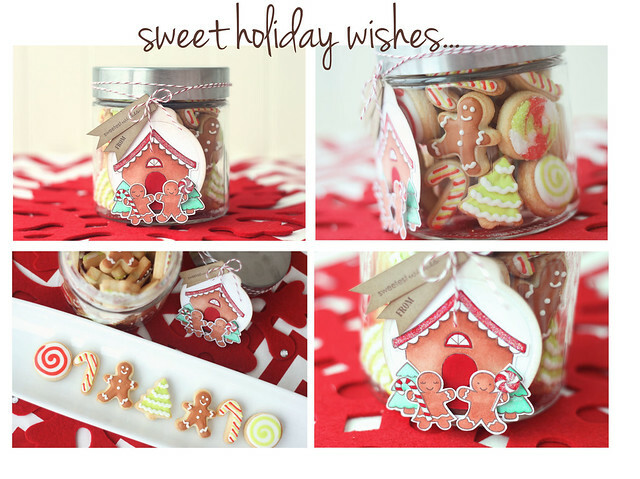 These are one of the cutest ways to package cookie favors, too. You can go with the quart size, or you can go with a much smaller size if you plan to just give out a few cookies. The best part about these is they’re great for stacking up flatter cookie choices like ginger snaps or for showing of more beautiful cookie choices like whoopee pies. Milk Boxes: Remember the tiny cardboard containers of milk you had throughout elementary school? Several companies make a version of these to hold your cookies. You can even download a template to make them on your own from heavy white cardstock. It will take a bit of folding and hot glue, but since nothing goes better with cookies than milk, this is the perfect way to send those favors home. Berry Baskets: You’ve probably seen dozens of berry baskets at your local farmer’s market, and they come in cute shapes and sizes, making them perfect for cookies. Given that people typically expect to see these bursting with bright colors and flavors, though, don’t just shove any cookie into these wonderful choices. Instead, go with something like a jam thumbprint cookie or cookie tarts topped with fresh berries. This would be particularly cute if you’re having an event during those early spring months when you want to send home cute cookie favors. Egg Cartons: You may not have previously considered this one, but there’s no better way to do a cookie buffet full of lots of little cookie treats than with egg cartons as the take home. If you’ve chosen to do lots of smaller cookies instead of one large cookie, consider ordering some unused egg cartons online. You don’t simply want to save up your old egg cartons, as they can contain bacteria that may contaminate your fresh cookies. Then each guest can take home a dozen or two smaller cookies, with each one nestled in its own little compartment. Often you can get unused boxes, foam or cardboard, as low as fifty cents each. Still stuck for ideas? All you need are Ziploc bags, your printer, and some cardstock. Use any pattern you like or no pattern at all. The goal here is to give them a customized cookie treat to take home. Print off cute tops, stable them to the top of the bag, and you have a wonderful way for every guest to take home a delicious cookie favor.